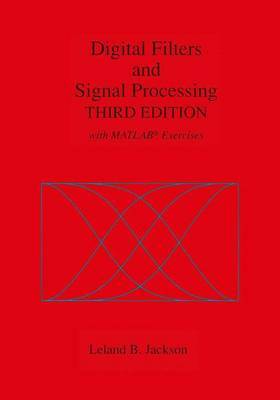 Digital Filters and Signal Processing, Third Edition ... with MATLAB Exercises presents a general survey of digital signal processing concepts, design methods, and implementation considerations, with an emphasis on digital filters. It is suitable as a textbook for senior undergraduate or first-year graduate courses in digital signal processing. While mathematically rigorous, the book stresses an intuitive understanding of digital filters and signal processing systems, with numerous realistic and relevant examples. Hence, practicing engineers and scientists will also find the book to be a most useful reference. The Third Edition contains a substantial amount of new material including, in particular, the addition of MATLAB exercises to deepen the students' understanding of basic DSP principles and increase their proficiency in the application of these principles. The use of the exercises is not mandatory, but is highly recommended. Other new features include: normalized frequency utilized in the DTFT, e.g., X(ejomega); new computer generated drawings and MATLAB plots throughout the book; Chapter 6 on sampling the DTFT has been completely rewritten; expanded coverage of Types I-IV linear-phase FIR filters; new material on power and doubly-complementary filters; new section on quadrature-mirror filters and their application in filter banks; new section on the design of maximally-flat FIR filters; new section on roundoff-noise reduction using error feedback; and many new problems added throughout.